We launched a website a few months ago that featured region specific content for users in North America, Europe, India, and China. Our strategy was to redirect users to the appropriate site given their location (which we referred to this as the user’s “default locale”). Once viewing the site, the use could then choose a “preferred locale” using a locale switcher (screencap shown above). While this was the best option given our situation, other alternatives for Content Negotiation exist, with some detailed below. The “Accept-Language” header included on requests specifies which languages are preferred by the user’s browser (presumably derived from the operating system’s locale settings). This header can be examined by Apache rewrite rules or other dynamic scripts to assess which content to display to the user. Many of the major CDNs can attach headers to inbound HTTP requests that specify the country of origin for the request (including Amazon CloudFront1 and Cloudflare2). These headers can be read by Apache or other parts of the infrastructure when determining which version of content to serve to the user. Below is an example of Apache rewrite rules that redirect users based on the “CLOUDFRONT-VIEWER-COUNTRY” header. The UK site is the default locale, with US and CN specific redirects employed for those locations. Notice that temporary 302 redirects are used here; while preferred for SEO purposes, 301 redirects are cached by browsers and will prevent users from being redirected correctly if their location or preferences change (e.g. cookie value changes when selecting a different preferred locale). Efforts can be taken to map a user’s IP address to their geographical location, revealing which country they are browsing from. The Maxmind Geo IP database is the defacto open source tool for accomplishing these lookups. It has its own Apache module available, along with open source libraries to facilitate it’s use in several back-end languages such as PHP or NodeJS. Other services exist, with some examples listed in this thread. One approach for implementing “sticky” Locale Switching is to set a cookie in the user’s browser that contains the user’s “preferred locale”. This cookie will then be read by the webserver (Apache in our case), and redirects to the correct locale can be served as needed. 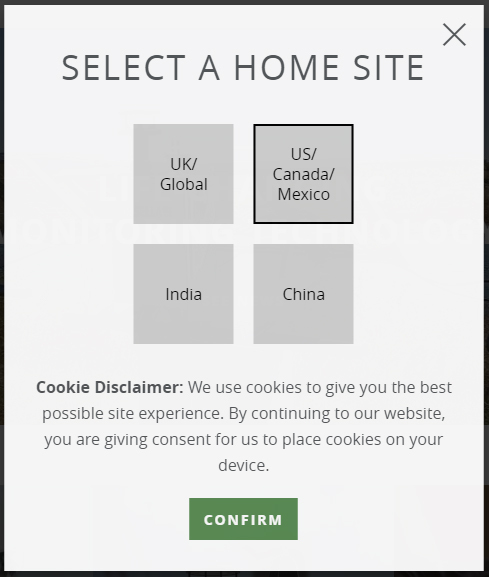 For example, if the user selects China as their preferred locale, but then makes a request for the US homepage, the web server will see the cookie specifying CN as the preferred locale, and the user will be redirected to the Chinese homepage. document.cookie = "preferred_locale_code="+ preferredLocaleString + "; expires=" + date.toUTCString() + "; path=/"
If using a CDN or reverse-proxy, make sure it is configured to pass you cookie (“preferred_local_code” in this case) on through to the web server, otherwise the redirection logic will not work! This solution worked well for us because our locale-specific sites all had roughly the same content. I could see these rules being problematic for sites where localized content is drastically different, as Apache would try to redirect to non-existent pages when locale switching. What does Cloudflare IP Geolcation do?